Dance Factory owner and Director of the TDF Dance Company, Katie has spent the last 36 years making her dream into a reality. Katie has been teaching and choreographing since the age of 15. Dance is a passion for Katie as reflected in her positive, outgoing personality and ability to inspire her students. She received her Bachelor of Arts Degree in Dance with a graduate focus in Pedagogy, Composition and Creative Movement from Dean College. Her background includes Ballet, Modern, Jazz, Lyrical, Contemporary Performance, Acro, Tap and Hip-Hop. Katie performed as a member of the Dean College Dance Company. Katie has trained with some of the best in the business such as Jill Silverman, Nailiah Bellinger, Desmond Richardson, Denise Jefferson, Mia Michaels, Jeffrey Polston, Brian Friedman, Jean Wenzel and more. Katie offers the same opportunities to her students by traveling with her dance company to conventions and competitions all over the east coast. Katie has produced choreography for Kiss Concert and performed as a back up dancer. Her students placed top 3 overalls on S4 Ep.7 of Dance Moms against the dancers of the reality show. As a teacher, her choreography has been recognized at a regional and national level. The Dance Factory Company has won numerous prestiges awards, scholarships and top honors for their technique, choreography and sportsmanship. Katie is consistently recognized for her artistry at competitions. Katie takes pride in offering a dance program that provides students with a creative, safe place to learn and grow. She continues to be a role model and inspiration to her students! Gabriella M. Fucillo began her training at José Mateo’s Ballet Theatre in Cambridge, MA. During the summers, she attended Bossov Ballet Theatre’s pre-professional intensive program and trained with former Kirov Ballet and Moscow Ballet dancers Andrei Bossov and Natalya Getman. She then was accepted into the highly selective dance program at the University of Massachusetts at Amherst where she received her Bachelor’s of Fine Arts Degree in Dance in 2009. At UMASS she received the Chancellor’s Dance Talent Award and was given a scholarship for her senior year. While at UMASS she had the opportunity to train and perform professionally with Pioneer Valley Ballet and Spectrum In Motion Dance Theatre. Upon graduating she accepted an apprentice position with Spindle City Ballet and performed as a member of their Corps and as a Soloist for their 2009-2010 season. Since 2013 she has been performing as a Soloist Company member with the International Ballet Company of Burlington, MA where she has performed lead roles in The Nutcracker, Paquita, Sleeping Beauty and La Boutique. She has been the head of the Ballet program at The Dance Factory since 2011 and since 2014 has been serving as the studio’s Assistant Director. She teaches all levels of ballet, jazz, contemporary, lyrical and acrobatics. Her work has received numerous awards at competitions, with several first place overall titles for soloists, duets and group numbers. 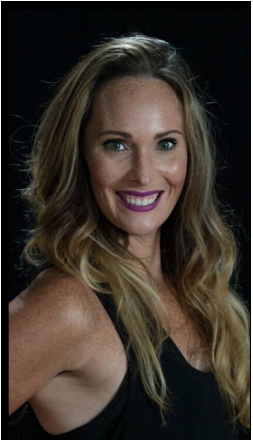 She is a dance judge with Starquest and Impact Dance Adjudicators since 2017 and is honored to inspire and assist in the development of today’s young dancers. In her spare time she enjoys being in the outdoors, traveling, hiking and rock climbing. Deirdre Lewis began her training under the direction of Marylou Cunningham. She earned her BA in Theatre and Dance from Keene State College. While at Keene State she performed extensively with the Dance Department and was a member of the Keene State College Dance Team. During her time at KSC, Deirdre was selected as a choreographer and performer to represent the school at the American College Dance Festival and at the Council of Public Liberal Arts Colleges Conference. She had the opportunity to study under artists such as Monica Bill Barnes, Frances Nii. Yarti, Candice Salyers, Cathy Nicoli, Jodi Leigh Allen, William Seigh, and Marcia Murdock. In 2012, she was honored to receive the Alta Lu Townes Memorial Dance Award for excellence in dance. For the past several years, Deirdre has attended the American Dance Festival as a scholarship recipient. While at ADF, Deirdre was able to work with teachers and choreographers including Mark Dendy, Ming Lung Yang, Brenda Daniels, Leah Cox, Pamela Pietro, Rodger Belman, and Trebien Pollard. In 2012, Deirdre joined IMPACT Dance company as a performer, choreographer and intern. Since joining the company, Deirdre has performed all over New England, presenting pieces from the IMPACT repertoire and her own choreography. Miss Deirdre's work at TDF has received top honors at a regional and national level. Deirdre has received numerous awards for her choreography and creativity. ​Kyle Ponte began dancing at the age of 5 in the small town of Westport, Massachusetts. When he turned 18 he moved to California to better his training and danced for Mather Dance Company full time. He worked on a daily basis with renowned choreographers such as Shannon Mather, Melissa Sandvig, Blake McGrath, Krista Miller, Todd Flanagan and many more that Mather Dance Company frequently hosts. Kyle developed a strong passion for choreographing at a young age and has been teaching his own classes since he was 16. He has been fortunate enough to travel the US and Canada teaching and assisting dance for many years now. Kyle himself has done some professional work such as performing as the opening act for Donnie Klang from MTV’s Making the Band and danced back up for Jillian Jensen from The X-Factor. He was a featured dancer in Gina Starbucks latest music video “Meets the I” and also got to perform as the half time act for the Celebrity Street Ballers. He has performed at many charity events across the country like Shannon Mather’s recent convention TRANS4M. Kyle holds many first place national titles on both the east coast and west coast but to him, that stuff isn’t important. This season Kyle's piece Drink You Gone received the award for Best Choreography. He really enjoys being in the studio creating with hard working dancers and sharing what he has learned over the years. Kyle is very excited to join the Dance Factory family! 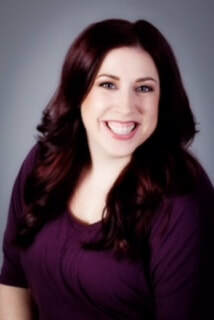 Erika Haydon holds many years of teaching experience and extensive knowledge in all forms of dance both at recreational and competitive levels. She holds a B.A. in Dance from Dean College, where she was a member of the Dean Dance Company for four years. She has also been certified by the prestigious Acrobatics Arts. Erika brings high energy, passion and creativity to all of her classes. Her choreography has been recognized and awarded on both regional and national levels. Most recently, she was awarded the Al Gilbert Tap Award. Erika continues to enrich her own dance education by taking intensive classes and attending conventions in both NYC and the New England area. Students of hers have gone on to achieve great success in many different facets of performing. Erika hopes through her love and knowledge of dance to motivate and inspire all of her students. 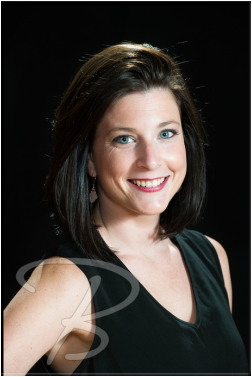 Lauren Norton is a graduate of Dean College with a Bachelor of Arts in Dance. Lauren’s honors include acceptance in to the Alvin Ailey School in NYC, soloist with the Dean Dance Company, and a recipient of The Franklin Performing Arts Scholarship. Lauren has trained with many artist such as, Denise Jefferson, as well as captured the attention of professional adjudicators across the country. Lauren holds many years of teaching experience from recreational to competitive level. She has been recognized for her choreography both regionally and nationally. Lauren continues to expand and educate herself by attending master classes and conventions. She is always excited to meet new dancers and share her knowledge and creativity with them. She hopes to motivate and inspire dancers to tell stories through their movement. She is looking forward to great year. Julie Young received her Bachelor of Arts degree in Dance in 2009 from Dean College, where she studied various dance techniques and academics with Joan Phelps-Palladino, Jill Silverman, and Nailah Randall-Bellinger and many other inspiring professors. While at Dean, she performed in many student choreographed pieces and was a member of the school’s dance team. For the past ten years, Julie has enjoyed sharing her passion for dance and passing on her knowledge while teaching students of all ages. She has taught many forms of dance including Creative Movement, Ballet, Tap, Jazz, Modern and Hip Hop and has had the opportunity to choreograph for recitals and competitions each year. Some of her favorite dance memories were being a part of team USA and traveling all the way to Riesa, Germany to perform at the Dance Olympics. As well as performing at the Boston Bandits Games, a semi-professional football team, as a member of their dance team. Julie has been part of the Dance Factory family for four years, not only teaching her students but also learning from them. She is thankful for the ways her students inspire her each day and cannot wait to start this year at The Dance Factory and meet the wonderful families and beautiful dancers. Abby Soares has been dancing at The Dance Factory since it opened its doors in 2005. She has loved every second of her constantly evolving dance career and had been a long standing member of the TDF Company Competition Team. She has placed in the top ten overall for her exceptional performances as a soloists several times. Her dance inspirations are Melanie Moore and Tyce Diorio. She has trained in several genres and last year she received NUVO’s Hip Hop Standout Scholarship. Her enthusiasm and passion to teach dance to others came naturally years ago when she received the opportunity to be an assistant teacher. She is thrilled to be teaching and sharing her love for dance with the students at TDF this year. Olivia Rossi is a creative dancer and choreographer with a passions for the arts. Olivia has been training at the Dance Factory since 2006 and has been on faculty since 2011. Dancing for thirteen years across all genres, Olivia has worked as a assistant this past year with Spirit Of Dance, and will be an assistant this coming winter with SYTYCD alumni at the Excel in Motion convention. Olivia has received numerous artistry awards and scholarships at conventions and competitions. Olivia was awarded a full scholarship to the Sheer Talent Summer Intensive in Las Vegas. NYCDE recognized Olivia as the top female dancer in 2014 out of hundreds of young artists. She holds many titles from her competitive dance years. Olivia has been an instructor of the arts for three years and loves being able to teach the following generations to not be afraid to grow as a mover and stand out. Post graduation, Olivia relocated to California where she is studying at Studio School in LA pursuing an arts degree with a focus in commercial dance. Olivia's choreography has been recognized with numerous awards. Katie Rondeau as her biggest inspirations throughout her dance career. Olivia's advice to younger dancers is define yourself, take risks and NEVER miss a chance to dance. Jade Hargrave lives in Plymouth and has taught First Grade in town for 16 years. She has three children ages 12, 8, and 3 as well as two stepsons ages 16 and 14. Jade started taking Pound in 2015 and absolutely fell in love with it. Pound is not just an absolutely amazing workout - it's also a form of therapy! She loves the positive vibes and energy that this workout creates. Jade enjoys meeting new people and creating a sense of community within each class while sweating, smiling, and rocking out to the music! Miss Jen is a warm friendly face when you first walk into the studio. She is happy to help guide our families through out the dance season. She found a love for dance through the hearts of her daughters, who both dance at the studio. When not at the studio, she enjoys spending time on her farm with her family.